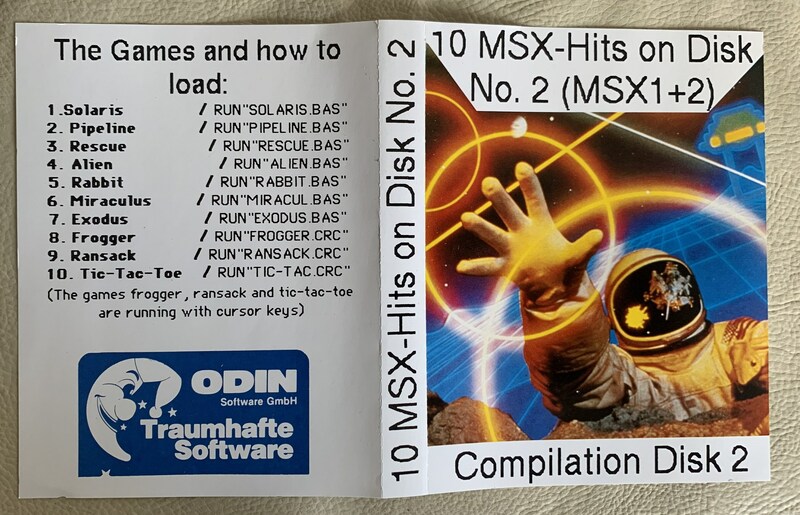 Here´s two different Odin Software (https://www.generation-msx.nl/company/odin-software/1210/) compilations. 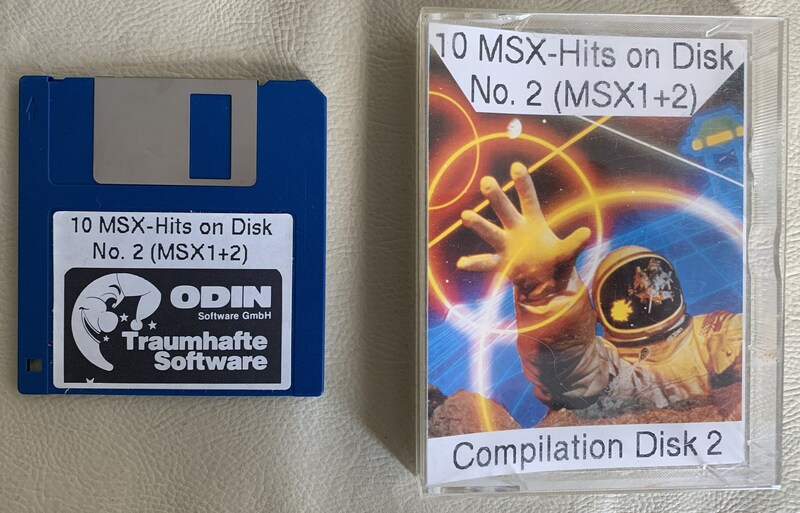 They´re called "10 MSX-Hits on Disk" part 1 and 2. Could not find a release date. 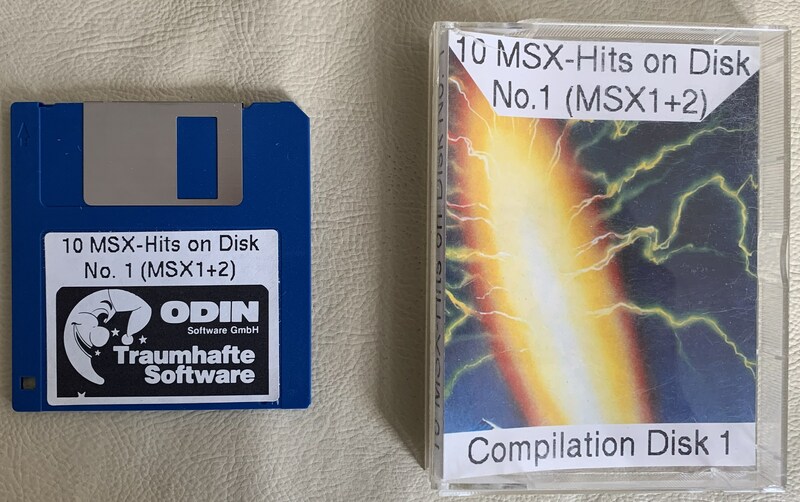 I´m not sure if that´s dumped / preserved already. This one seems pretty simple to do, if needed. Thanks, added to the DB. I don't think they are dumped, otherwise it would undoubtedly already have been in the DB. Thank you, Rob. I´ll try to dump it later today. Any specific place I should upload the .DSK files? Never done that. Edited 1 time(s). Last edit at 01/20/2019 02:37PM by Lazzeri. Thanks. I will try to have a look perhaps in a weeks time, don't have time for it right now. 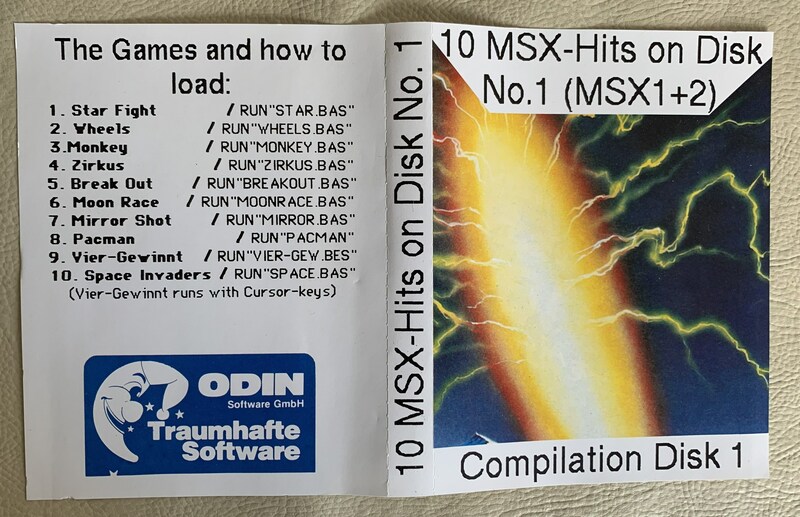 I have added the missing software entries from the compilations to the DB with screenshots.